To give an overview of studies comparing full-field digital mammography (FFDM) and digital breast tomosynthesis (DBT) in breast cancer screening. The implementation of tomosynthesis in breast imaging is rapidly increasing world-wide. 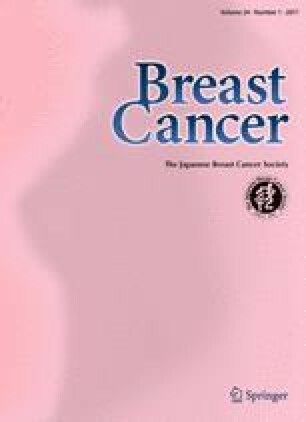 Experimental clinical studies of relevance for DBT screening have shown that tomosynthesis might have a great potential in breast cancer screening, although most of these retrospective reading studies are based on small populations, so that final conclusions are difficult to draw from individual reports. Several retrospective studies and three prospective trials on tomosynthesis in breast cancer screening have been published so far, confirming the great potential of DBT in mammography screening. The main results of these screening studies are presented. The retrospective screening studies from USA have all shown a significant decrease in the recall rate using DBT as adjunct to mammography. Most of these studies have also shown an increase in the cancer detection rate, and the non-significant results in some studies might be explained by a lack of statistical power. All the three prospective European trials have shown a significant increase in the cancer detection rate. The retrospective and the prospective screening studies comparing FFDM and DBT have all demonstrated that tomosynthesis has a great potential for improving breast cancer screening. DBT should be regarded as a better mammogram that could improve or overcome limitations of the conventional mammography, and tomosynthesis might be considered as the new technique in the next future of breast cancer screening. Oslo tomosynthesis screening trial (OTST): equipment and support for additional reading provided by Hologic, Inc.
McCarthy AM, Kontos D, Synnestvedt M, Tan KS, Heitjan DF, Schnall M, et al. Screening outcomes following implementation of digital breast tomosynthesis in a general-population screening program. J Natl Cancer Inst 2014. doi: 10.1093/jnci/dju316. Conant EF, Beaber EF, Sprague BL, Herschorn SD, Weaver DL, Onega T, et al. Breast cancer screening using tomosynthesis in combination with digital mammography compared to digital mammography alone: a cohort study within the PROSPR consortium. Breast Cancer Res Treat 2016. doi: 10.1007/s10549-016-3695-1. Lång K, Andersson I, Rosso A, Tingberg A, Timberg P, Zackrisson S. Performance of one-view breast tomosynthesis as a stand-alone breast cancer screening modality: results from the Malmø breast tomosynthesis screening trial, a population-based study. Eur Radiol 2015. doi: 10.1007/s00330-015-3803-3. Svahn TM, Houssami N, Sechopoulos I, Mattsson S. Review of radiation dose estimates in digital breast tomosynthesis relative to those in two-view full-field digital mammography. Breast 2014. doi: 10.1016/j.breast.2014.12.002. Choi WJ, Kim HH, Lee SY, Chae EY, Shin HJ, Cha JH, et al. A comparison between digital breast tomosynthesis and full-field digital mammography for the detection of breast cancers. Breast Cancer 2015. doi: 10.1007/s12282-015-0656-1. Choi JS, Han BK, Ko EY, Ko ES, Hahn SY, Shin JH, et al. Comparison between two-dimensional synthetic mammography reconstructed from digital breast tomosynthesis and full-field digital mammography for the detection of T1 breast cancer. Eur Radiol 2015. doi: 10.1007/s00330-015-4083-7. Ray KM, Turner E, Sickles EA, Joe BN. Suspicious findings at digital breast tomosynthesis occult to conventional digital mammography: Imaging features and pathology findings. Breast J 2015. doi: 10.1111/tbj.12446. Tagliafico AS, Calabrese M, Mariscotti G, Durando M, Tosto S, Monetti F, et al. Adjunct screening with tomosynthesis or ultrasound in women with mammography-negative dense breasts: Interim report of a prospective comparative trial. J Clin Oncol 2016. doi: 10.1200/JCO.2015.63.4147.